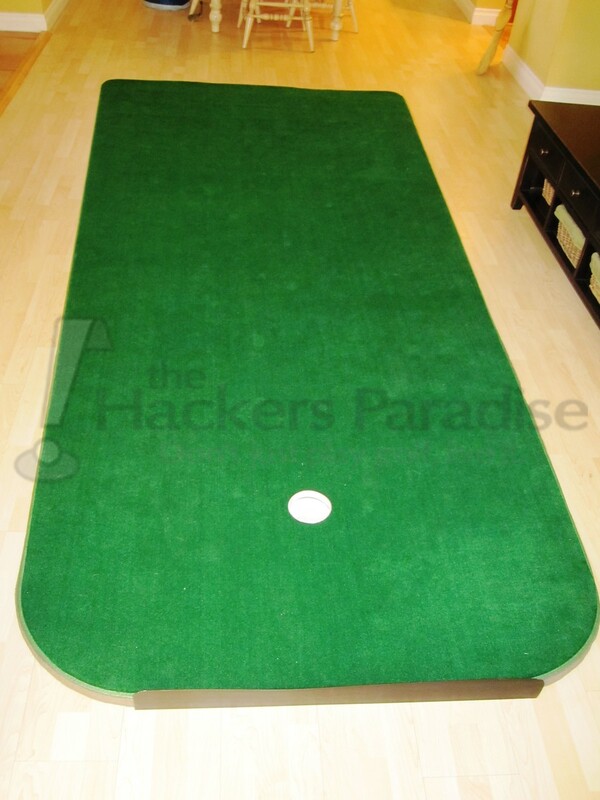 Have you ever noticed that when you enter a golf shop, you always seem to gravitate toward the putting area? It’s almost as if the entire store was built on a slant designed to funnel consumers toward the putting green. What is it about this area of the store that generates so much traffic? Do we love putters that much? 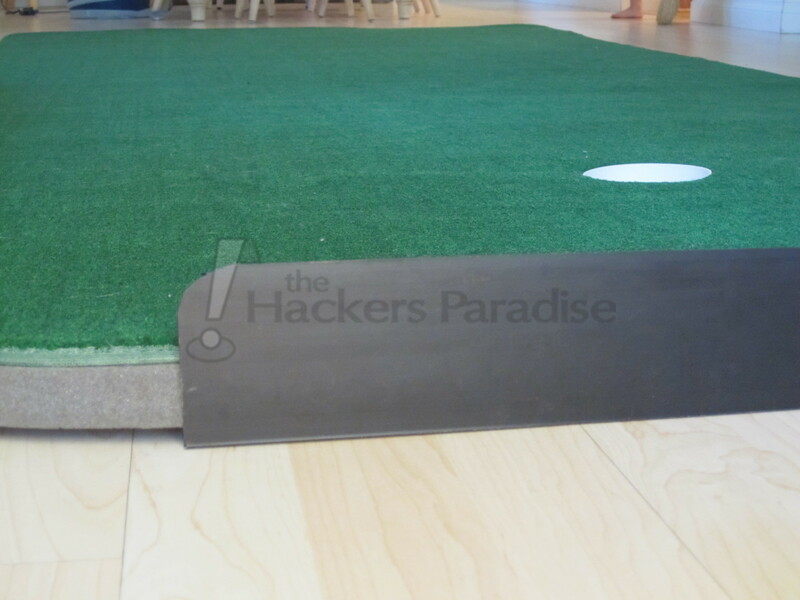 Are we infatuated with the idea that there may be a cure-all putter that we haven’t tried yet? Determined to wrap my mind around this conundrum, I spent some time at my local Roger Dunn golf shop in Mission Viejo, CA. The putting green at this location is impressive. It is large enough to accommodate multiple golfers and it is neatly lines with putters from every manufacturer of significance. I watched as consumers made their way to the putting green to test their luck. Some were on a mission to test a certain putter and others just wanted to hear the beautiful sound of the ball going into the cup. After some time, it hit me: Putting is cool and golfers of all abilities like to putt. While watching a PGA Tour player bust a 320 yard drive off the tee, it’s the 25-foot par save that impresses us, or the difficult up-and-down. 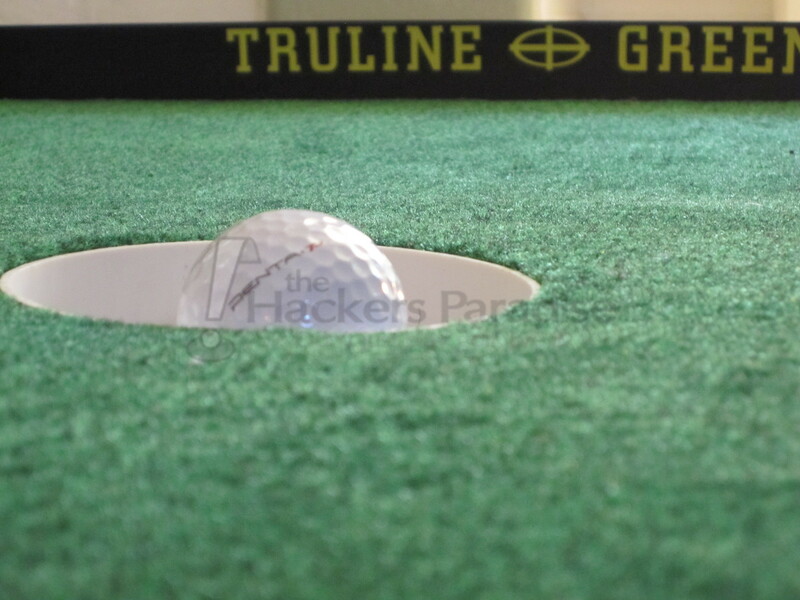 While only a small percentage of us can hit a 300-plus drive, we all feel like we can knock in a long-range putt. As a result, we find ourselves on a constant quest to become better putters. We spend money on expensive putters, we consume various tips, and we especially perk up when Nick Faldo gives us a putting morsel on the weekend CBS broadcast. So how do we become better putters? Practice! Say it again out loud! Then say it again in Allan Iverson’s voice! Like anything else in this game, the best way to become the putter is practice. If your schedule is anything like mine, daily visits to the driving range are impossible. If only there was a way to get meaningful putting practice from the comfort of your home…enter the “Big Murph” putting green. My new best friend. The “Big Murph” arrived at my doorstep in a large box that weighed more than 25 pounds. I opened the top end, wrapped my arms around the box, lifted it upside down and saw the massive green in all its glory fall to the ground. As I unrolled it, I thought this is too good to be true. I expected to see large wrinkles and dents that would affect its performance. Surprisingly, the Big Murph unrolled easily and looked as if it had been on display for months. No ill-effects from being boxed up. After un-rolling the green, I placed the white plastic cup into pre-cut hole and attached the backstop which prevents the putts from rolling off the green. That was really all the set-up required. Within minutes, I was rolling putts. 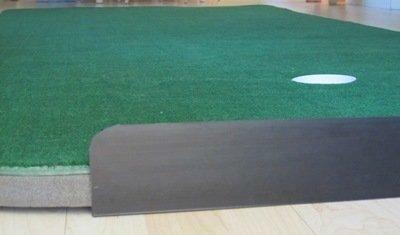 Putts on the Big Murph roll very true and provide an accurate depiction of putting on a real putting green. Unlike the cheesy putting greens that return the ball to you, putts on the Big Murph provide real feedback. Included with the Big Murph are small black indicators which can be fastened to either side of the green at any distance. I was able to set various distances to practice three, five and seven footers. Skinny black tubing can also be used to create break. I found myself working on short, tricky left-to-right putts (you know the ones that we usually miss on the course). The best part is, I can roll up the Big Murph when I am all finished. For me this is important and I don’t want my two-year old or my wife’s cat using it as a toy! I was even able to throw it in the back of my car and take it to a friend’s house for practice at his house. Okay, here comes the truth. The Big Murph moved into my household two weeks ago and I have had various practice sessions with it. To say that my putting has improved would be an understatement. I have played three rounds of golf since receiving the Big Murph and I can proudly say that I have lowered my average putt per round stats. Even my misses look good as I am right around the cup every time. Maybe it’s the muscle memory I am building when I practice. Maybe it’s the bond I am forming with my putter. I think it’s a combination of both. I also feel more confident when I stand over a five-footer on the golf course. I have convinced myself that if I can make it on the Big Murph, then I can make it on the course. I buried a 10-footer recently and shouted “thank you Big Murph!” My playing partner thought I was nuts, but I didn’t care. I was sinking putts! The Big Murph is available on their website for a very reasonable $369 – that’s less than a premium driver! If you are serious about your short game but don’t have the time required to practice, the Big Murph might be the smartest investment you will make. If you are apprehensive about the size of the “Big Murph” and you don’t know where you would put it, Truline Greens also produces the “Little Murph,” which measures 10’ long x 45’’ wide and sells for $289. The only downside is that once your golfing buds discover your new Big or Little Murph putting green, your house will become the new hang out and you wont be able to get rid of them. Something like this would be nice to have around. 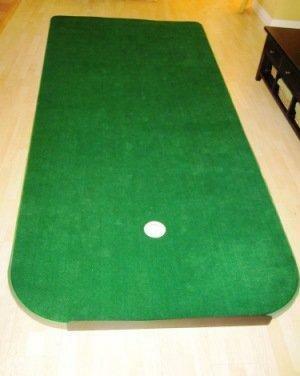 We putt on the carpet a lot at the house and this would be much more realistic. Thanks for the review Caleb. The Big Murph looks exactly like what I’ve been searching for. The fact it is portable, sets up quickly, and putts true sounds perfect for my needs. Thanks, for the review. Looks better than an empty tin of porch beef lying on the floor. Big Murph is the most accurate feeling green on the market. Nothing is more like the real thing than this Big Murph product…by far the best. Might sound over-the-top but nothing compares! Bar none. Hands down. My Big Moss TOOK a Loss after just 9 months. It got wet by a slight rain on deck, it frayed and started to Nat up after bringing into the basement to dry. Left my Little Murph on the patio all Summer rain or shine til Oct 15th in Michigan and it looks and performs like new all winter long so far – Great Product. My only question to those who own this green, how well does it respond to chipping onto it? Is there enough cushion to the green to keep it from bouncing like on a floor?